My recent series "Fukushima 50" is on display along with photos of Japan by Amit Dahan for the month of November at The Wilson 96, (615 College St, Toronto). 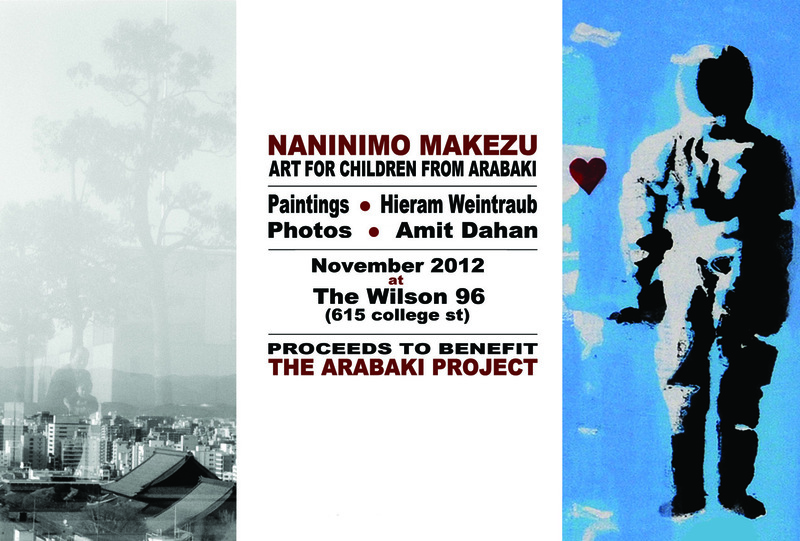 Proceeds from artwork sales to benefit the Arabaki Project. Click HERE for some images from the exhibition. The first piece in the series is featured in the CD artwork for the charity compilation album Naninimo Makezu; Songs for Children from Arabaki.